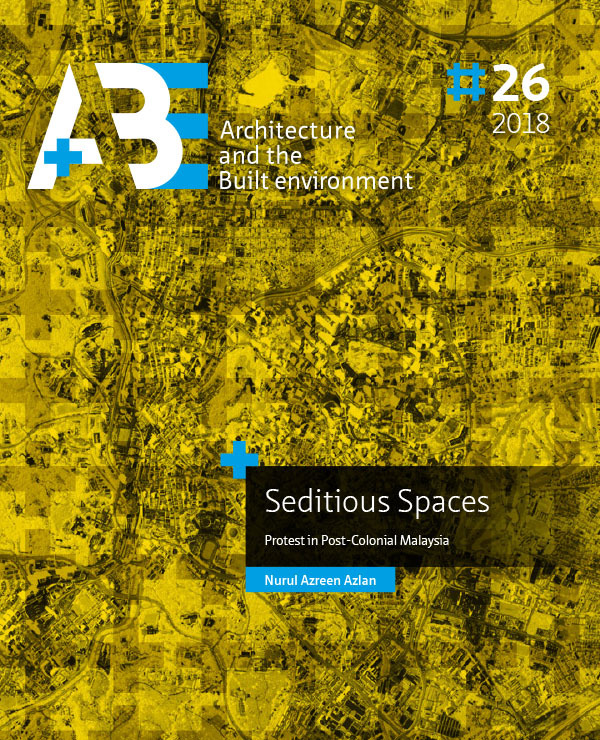 This research sought to understand how the trajectory of urban development, which is shaped by the colonial legacy, has produced the contemporary geography of contention in Malaysia. Given that public space is shaped by the colonial legacy, how does it facilitate or hinder street protests as a function of democracy, which is also a vestige of colonialism? To do this, rather than going into a long discussion about notions of public sphere and public space, much of which originated from Western traditions, I used postcoloniality as a lens for the topic1. By taking the concepts as a given, the postcolonial gaze allowed me to contextualise particular Malaysian conditions. In this thesis I argued that the postcolonial narrative (democracy, modernisation, development) is ambivalent precisely because the colonial narrative itself is ambivalent; there was no real break between colonisation and the present condition. I examined three aspects in particular. Firstly, colonial architecture as a subversive ‘third space’, where independence amplified the subversive quality of colonial architecture because of the power vacuum left after the colonisers had left. Secondly, postcolonial ‘amnesia’, where certain aspects of history were conveniently forgotten or others selectively remembered in the production of space to build a hegemonic vision of society. Finally, I looked at postcolonial mimicry, where the post-colonial society imitated either the former colonial master or some other references that fit within its narrative. These notions were mapped onto public space which not only provided the backdrop for dissent but also shaped its form and practices. Protest provided a direct line for the interrogation of just how democratic postcolonial public space actually is. The mobilisations, negotiations, and potential conflicts that arise from the moment a street protest is announced reveal a lot about the politics of space as much as the event itself. Public space comprises material and discursive spaces and, at the time of writing, included social media which has become part of the infrastructure of protest. The empirical part of this research came from the Bersih 4 protest in Kuala Lumpur, which took place from 29-30 August 2015. An urban-planning assessment of Kuala Lumpur and Putrajaya (the seat of the postcolonial government) was carried out to see which place could better support protest. Accessibility, land-use patterns, and urban form were all aspects of the city that were decided upon at the urban-planning level and throught to influence the probability of protest taking place. This indicates that a city can be designed to support or hinder the performance of democracy. I found that Kuala Lumpur, founded during the colonial era, was actually more supportive of protest activities than Putrajaya, a city purpose built by the newly independent democratic regime. Thirdly, I found that the control of digital and material space was symmetrical. This can be seen in three ways: One, how regulations of both spaces can be used to suppress dissent; Two, how access to space can be blocked, either by blocking certain websites or platforms, or by limiting the access to the material public space; and Three, bottom‑up disruptions – while the Red Shirts disrupted Bersih’s performativity in the material public space, cybertroopers were disrupting protest exchanges on Twitter. The research also indicated the necessity of having material public space for the performance of democracy, thereby debunking the myth that digital space has somehow superseded public space. Just as the assumption that the Internet would result in the death of distance (ease of communication has, ironically, led to global cities becoming ever more important as nodes in global networks), this research shows how the Internet has the potential to expand the public sphere, and is actually instrumental in getting people to physically go to public spaces. Given how the protesters were communicating about place during Bersih 4, it shows how contestation of meaning does not have to be direct clash but that digital space could provide an arena even when material public space is off limits. The way in which Bersih 4 materialised itself in Kuala Lumpur also shows that restraint on the part of the protesters could also be a productive protest strategy, since it can bridge the distance between the state and its citizens via a strategic reading (and occupation of) space. Since protest is a performance, in the sense that it is a way of communicating displeasure, the space it uses should not only be seen as something to use or overcome, but can also be utilised more actively. Bersih 4, through its occupation of an important street junction, showed how it could challenge the symbolism embedded within Dataran by amplifying it.